I have always loved looking at pictures of abandoned places being reclaimed by nature, so when I received this stamping plate I just knew I wanted to combine these mechanical items with nature. For the base I applied two coats of "Blanc" by Essie. The gears are stamped using "Be My Millionaire" by catrice cosmetics. 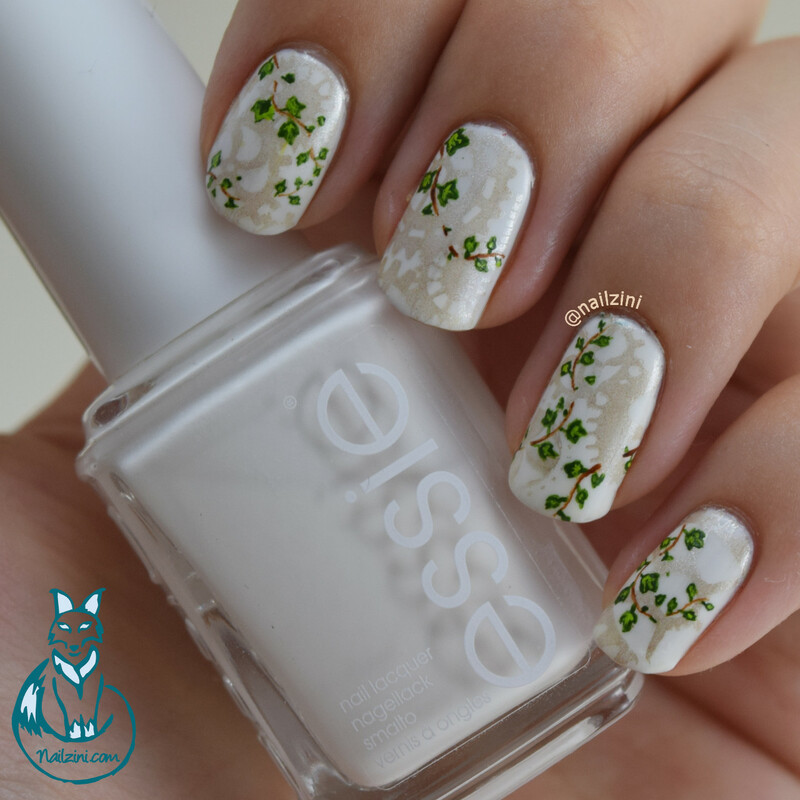 The ivy is hand painted with Jo Sonja's acrylic paint and the "Tartofraises roubloff detail 00" brush by Adnails Manucure. The stamping plate is a 12*6cm (4.7*2.4inch) rectangle robot design image plate (ID=30335). It contains 10 cute little robots, a bunch of different gears and a couple other mechanically themed items. When I received the plate it was covered in a blue protective film which you have to remove before using it. As you can see in the picture above, the plate is also attached to a white cardboard. I think you can remove it, but it is very firmly attached so I decided to leave it that way. At least this way when I scrape off the excess polish it lands on the cardboard so I don't stain my desk too much. 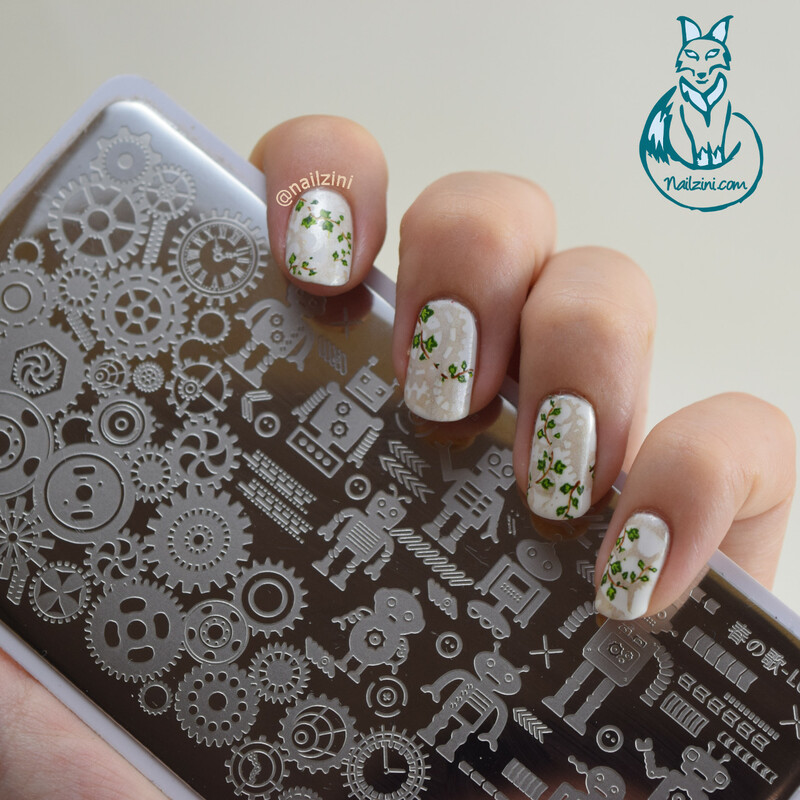 I really like this plate because it's quite big and has a lot of different gears so you can mix it up and don't need to stamp the same pattern on every nail. They also have the advantage that they look great on their own or can be used as a background, or both if you're like me and can't choose! 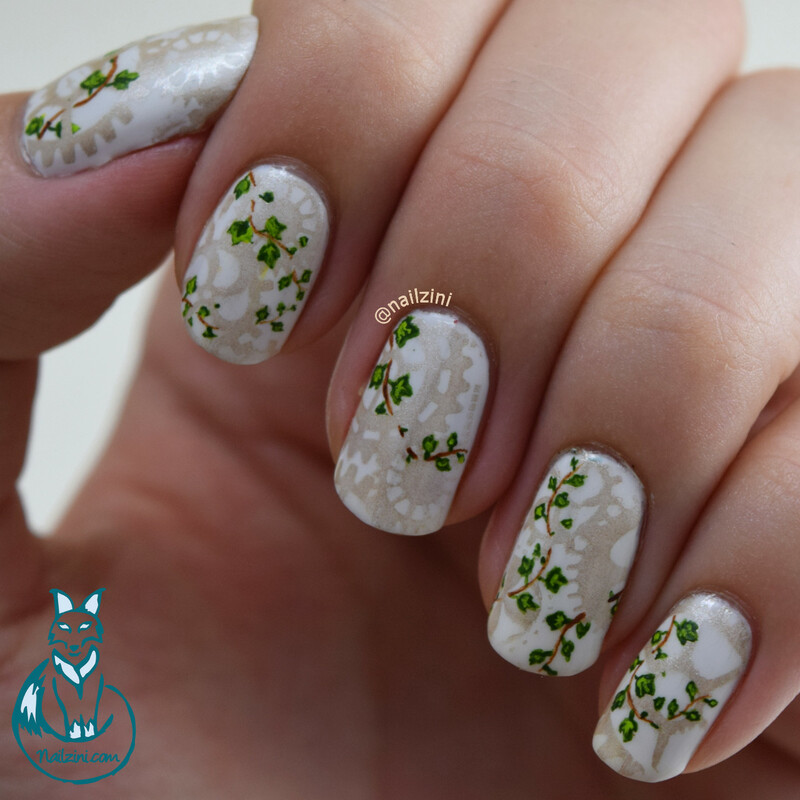 The stamper I used for this design is the Silicone Jelly Stamper (ID=26498). I haven't stamped in years so it took some trial and error before I figured out the best way to use it. The only stamper I've ever used was a firm stamper which needed a lot of pressure for the image to transfer completely. It took me a while before I realized that is not the case for this one! You hardly need any pressure when rolling the stamper over the plate. A gentle roll over the plate is all it takes to transfer the pattern to the stamper. It's also possible to remove the jelly cushion from the stamper, but I would advise you not to do that too often or be very careful when doing so. I damaged the bottom side of the cushion a bit trying to fit it back in the stamper, luckily it doesn't effect the stamping side. Yay!! The first few times I just used nail polish remover to clean the jelly cushion, but I've read online that it might damage the cushion. I have cleaned the stamper at least 10 times this way and haven't noticed any difference, but just in case that was pure luck I decided to use a lint roller for cleaning. It's magic! It's so much easier, cleans better and no awful nail polish remover smell, which is always a plus! You just gently roll the lint roller over the stamper, or the other way around, and it removes all the excess polish and any dust particles that might have gotten on it. I would definitely recommend this stamper. It's very easy to transfer the pattern to the stamper. 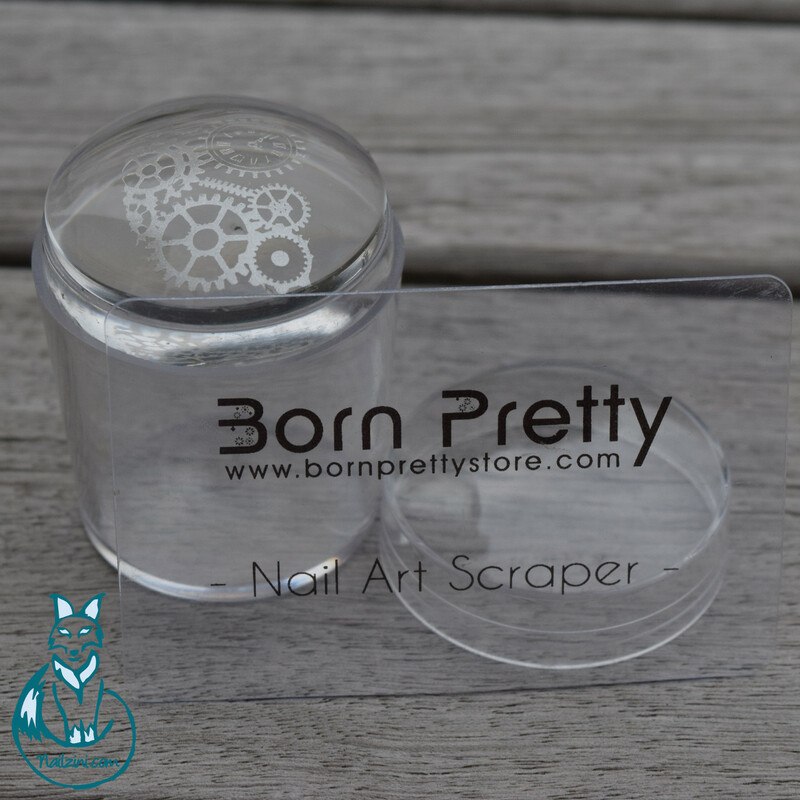 The surface area of the cushion is also quite large so you can use it on longer nails. I love the fact that the back is see-trough since the guesswork required with a normal stamper was what made me not use them in the first place. 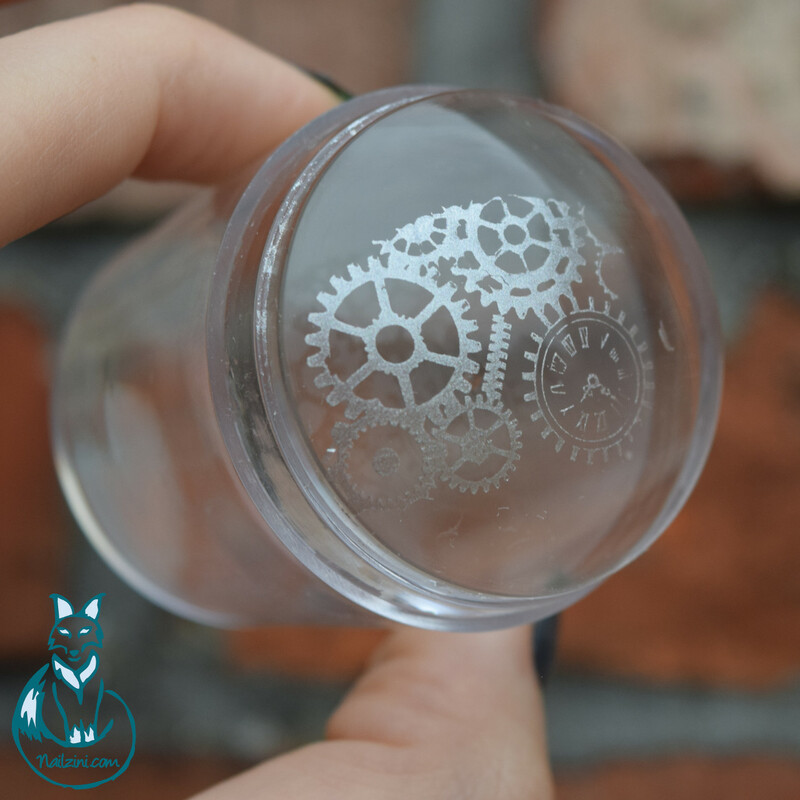 This stamper makes it easy to place the pattern where you want, which is awesome! I may have to start using stampers in more designs not that I've realized how easy they can be.